Tech N9ne And Young Buck Collaboration In The Works? We found a Tone’s World clip of Young Buck performing and being interviewed in Kansas City. In the clip he gives a shout out to Tech N9ne and hints that a future collaboration is in the works. 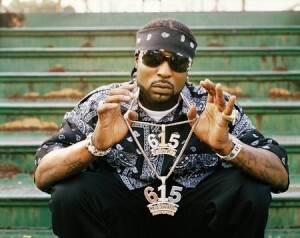 Young Buck had a guest appearance on Skatterman And Snug Brim’s Strange Music release Word On The Streetz on the song “Sukka Dukkas”. Young Buck also gives a shout out to Tech and Krizz Kaliko during his performance, as the two Strange Music artists are in the audience during the show. Click here or watch below.